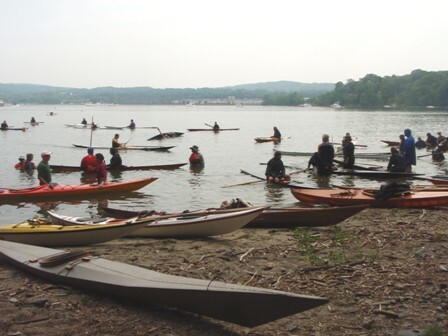 Registration is now open for the Hudson River Greenland Kayak Festival. The event will be held at Croton Point Park right on the Hudson River and runs from June 24 thru June 26. Several NACK paddlers attended the event last year so here’s a posting from that event. New to the HRGF this year is a Greenland Paddle making class taught by Chris Raab of Tuktu Paddles. Chris is a talented craftsman and a great instructor. Having previously taught a paddle making class for NACK on Long Island, we can attest to his teaching skills. With a few simple tools anyone can make a greenland paddle. Class space is limited so act quickly.